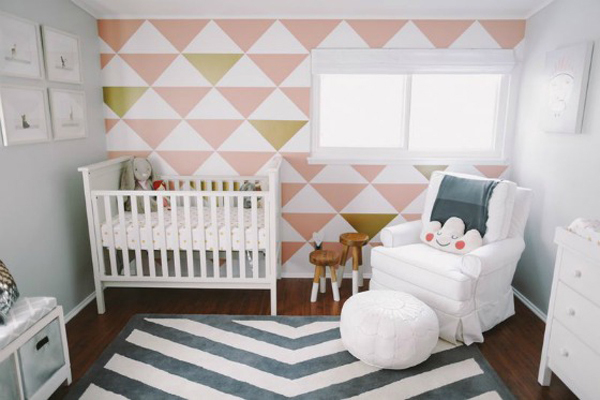 I’ll admit I do not have any children, but I am always thrilled to design nurseries for expecting friends. 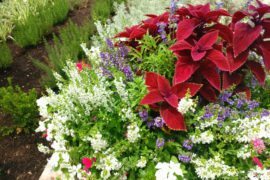 It is the one place where you can be as creative as you want. Polka-dots belong on the walls, there is never too much chalkboard paint, and animals, well, they can go anywhere! 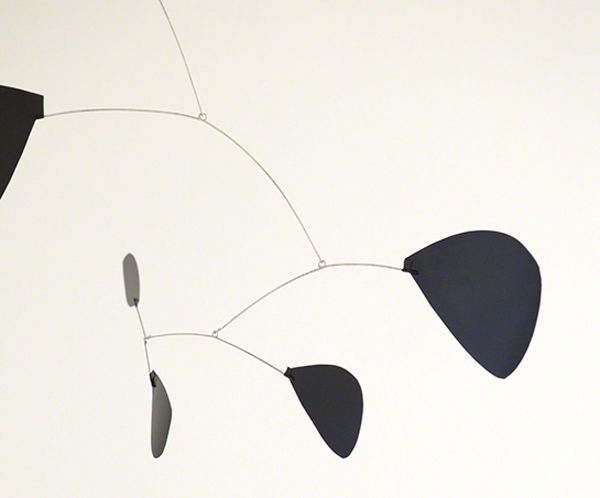 Meanwhile, Alexander Calder too was following the circus and making primary-colored mobiles into fine art (wouldn’t one of those be amazing over a crib?!). 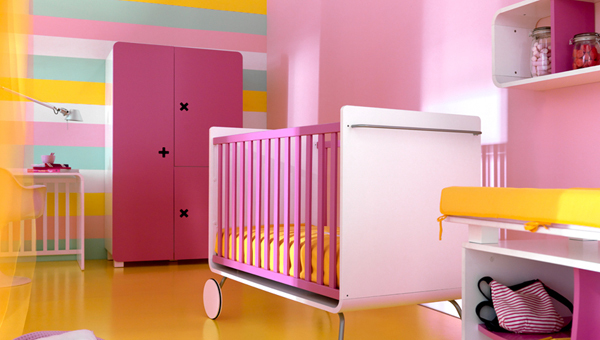 The happy modern style encompasses the feeling of child-like bliss. So think like a modernist, embrace your inner-child, and get decorating! 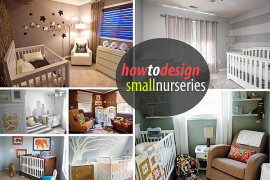 If you are going to splurge on anything in your nursery, make it the furniture. Let’s be honest, you are going to be spending as much time in there as your baby, so you might as well make it great! 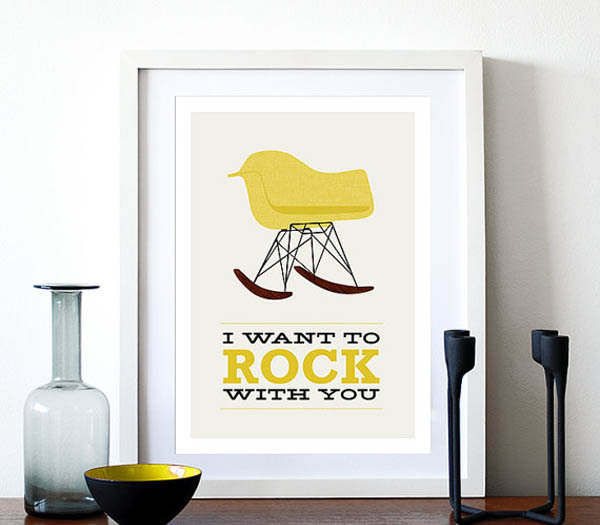 The Eames rocker is a classic pick. You and your newborn alike will love it. Also, make sure you find pieces that your little one can grow into … unless, of course, you foresee more babies in your future. 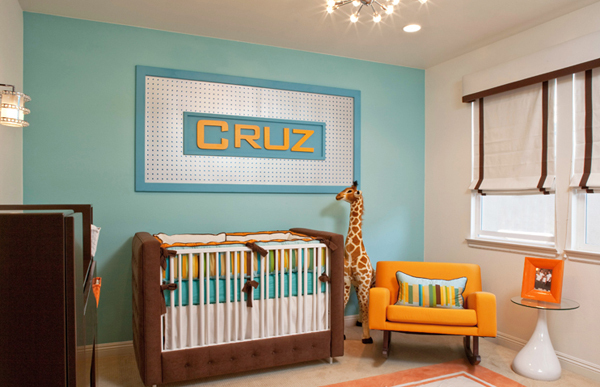 If you cannot get the real thing, reference this Mid-Century treasure through your nursery art. This one is from Esty, and comes in a variety of happy modern colors. While researching for this post, I happened upon BE children’s furniture. 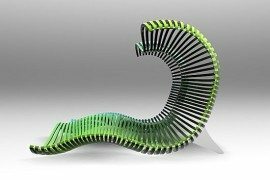 It is a great resource for functional happy modern pieces! For added convenience, this crib is on wheels. Meaning, you can easily wheel it into the living room or your bedroom for the night. Also, when your child grows out of this bed, it turns into a desk. Amazing! 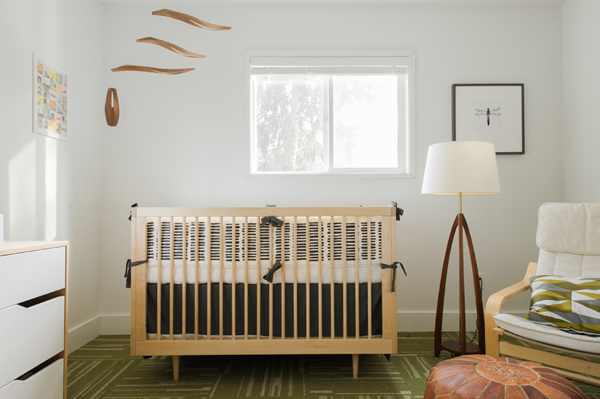 Designed by Ubabub, this crib has plexiglas sides for an easy sightline to your child. Style-wise, the molded plywood is as close to a Mid-Century reference as you can get! 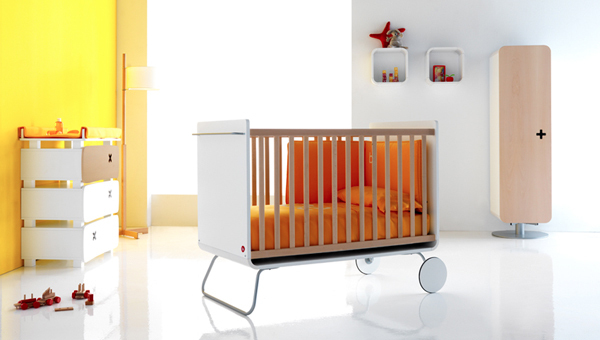 As functional as it is beautiful, this cradle transforms into a toddler bed with ease. Take the best of Mid-Century design, add a generous amount of vibrant color and there you have it – a happy modern room! 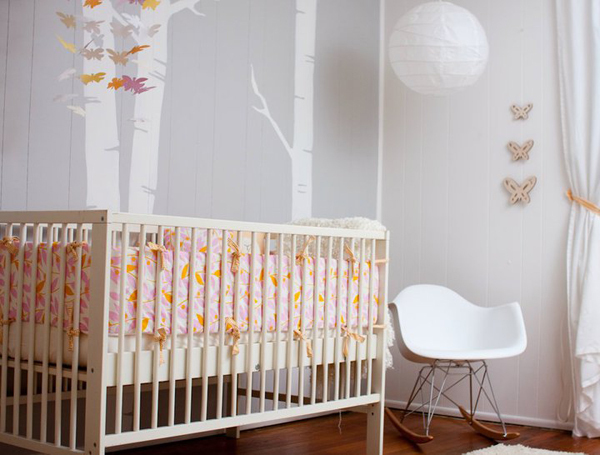 Are you decorating a nursery? Share your experiences and suggestions in the comments section below.